My new object of lust? 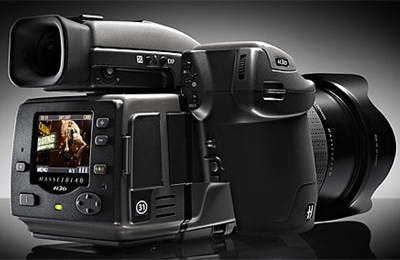 The Hasselblad H3D DSLR: 39 megapixels for 26.5 kiloeuros (USD$37,500) in a full-frame medium format camera. Obviously, it comes with integrated GPS and the ability to export the data as KML. Alas, it will remain the stuff of dreams. House numbers down under: Michael Smalley notices that streets in Australian cities get house numbers. Only in Maps (not hybrid) and not (yet?) in Google Earth. Google Sky orrery: Barnabu.co.uk adds a virtual orrery as a screen overlay to Google Earth, so you see the relative positions of the planets as they orbit the sun corresponding to the view from Earth at a given time. Superoverlay 2.0 Beta: Valery Hronusov’s Superoverlay application for making Super-Overlays reaches version 2.0 beta. North Korea watched: Here is a gem, found while trawling through the internets for georeferenced human rights material: North Korea Uncovered, “The most authoritative, publicly available map of North Korea on Google Earth”. Check out the high-resolution overlays for some of the prison camps. By North Korean Economy Watch. EditGrid collaboration: Another way to engage in collaborative mapmaking: Using the access controls of online spreadsheet applications and then converting the contents of a spreadsheet to KML. Here’s an example of how it’s been done using EditGrid to map POIs in Croatia. Previous PostPleiades: Georeferencing ancient historyNext PostWhich installation did the Israeli bombing raid in Syria target? It’s always nice to see that someone else in the world is dreaming about having something I would love to have too. That Hasselblad makes my head spin!